Charles Kurzman, “Winter Without Spring,” Contexts, Spring 2013, pp. 14-15. In early 2011, after dictators were toppled in Tunisia and Egypt, strongmen in neighboring states scrambled to prevent protests from reaching their borders. In half a dozen countries, Arab autocrats were frightened enough to offer serious-sounding concessions in quick time. On February 20, 2011, King Abdullah of Jordan promised “comprehensive reform,” saying “When I talk about political reform, I want real reform consistent with the spirit of the age.” On March 9, King Mohammed VI of Morocco promised “far-reaching” constitutional revisions that would “promote the democratization, revamping, and rationalization” of state institutions. On March 10, President Ali Abdullah Saleh promised a new constitution that would give the Yemeni parliament significant powers. On March 13, Sultan Qaboos of Oman promised to upgrade parliament from an advisory to a legislative body. On March 19, Algeria’s President Abdelaziz Bouteflika promised to “open a new page on the path to reform.” On March 30, Syria’s President Bashar al-Assad promised to lift emergency rule and permit opposition political parties. In spite of these promises, revolts deepened in Syria and Yemen. Elsewhere—along with heightened repression and expanded state subsidies—these promises apparently took the edge off protest movements. Algeria ended the state of emergency maintained since 1992, when the military canceled the only free elections in the country’s history. Morocco and Oman revised their constitutions, and in Morocco a moderate Islamist opposition party won parliamentary elections and peacefully transitioned to a new government. As popular pressure receded, plans for comprehensive democratization were withdrawn. Jordan’s monarchy manipulated a new electoral law to ensure its control over parliament, while Morocco’s king introduced a new constitution that maintains his control over all “strategic” affairs. 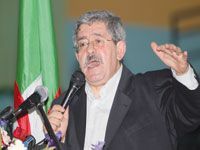 Before elections in Algeria, the government passed a restrictive law on associations designed to hamper the opposition. Rulers in other Arab countries refused to grant even minimal reforms, gambling that they could get by with minor concessions, combined with harsh repression of incipient protest. Muammar Qaddafi offered US$400 to each Libyan family and encouraged them to go after the “greasy rats” who were demonstrating against the regime. In Saudi Arabia, King Abdullah promised billions of dollars in new government expenditures, but no shift in policy. And President Omar al-Bashir of Sudan vowed not to run for reelection—in 2015. While Qaddafi’s gamble failed, other hardliners have managed to ride out the period of unrest. Without meaningful checks on their power, rulers have stepped up harassment of activists. A particular target is online activism, which Arab governments view as almost magically disruptive. Bloggers, Tweeters, Facebook organizers and other digital activists have been threatened and detained in one country after another. In January 2012, Algeria extended repressive press regulations from print to electronic media. Oman arrested more than a dozen online activists in a sweep last spring and convicted them of lèse majesté, insulting the king, for complaining about the limited scope of reform in the country. In September, Jordan passed a law imposing potentially dire requirements on “electronic publications.” These measures are not as harsh as the widespread and brutal repression of the recent past, but they have been effective in containing the wave of uprisings. While the mass mobilizations of the Arab Spring ushered in uncertainty, frustration, and disillusionment across the region, they have also generated a sense of political vitality in Tunisia, Egypt, Libya and Yemen, where the people toppled dictators. But in countries that did not have an Arab Spring, there is even more disillusionment and cynicism as dictators have strengthened their grip on power.